It seems almost unfair to narrow down the best moments of BUKU Music + Art Project to just five. Everyone seems to have taken away from BUKU Music + Art Project 2017 a few favorite performances of their own. We have heard a wide variety of “favorite acts” from fans and made the immensely difficult decision process to narrow it down through a combination of hype, crowd reactions, and overall quality. In a festival packed with b2b sets, Herobust and Ghastly delivered one for the ages. The onslaught of grime and bass left the crowd with reactions such as, “[they] destroyed everything”, and “[they] murdered the set”, among other colorful superlatives. You have to respect Zeds Dead’s work ethic. They played their scheduled set at BUKU, another set at the DeadBeats after party, and also a set with Jauz at Joy Theater afterward. All in the same night. 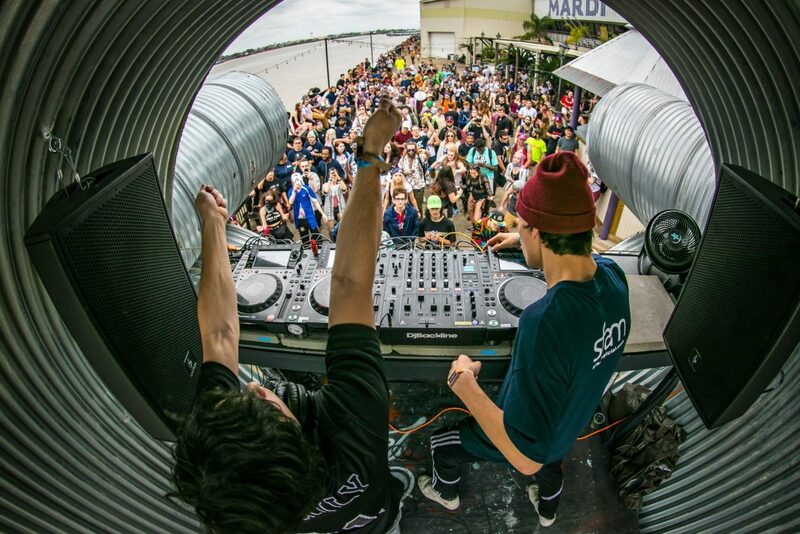 Their set at BUKU encompassed a diverse mix of old and new material, including crowd favorite “Woman Wine“. At the Republic NOLA after party, they brought on the nostalgia with their original, grimy dubstep sound. The surprise set at Joy Theater was just icing on the cake. It’s this kind of spontaneity that makes BUKU such an amazing festival. Maybe it’s the magic of New Orleans. Maybe it’s the freedom that comes with a smaller, more intimate festival. Maybe it’s the backdrop of the city that never stops partying. Whatever it is, Zeds Dead made a case for themselves to be the talk of the town. 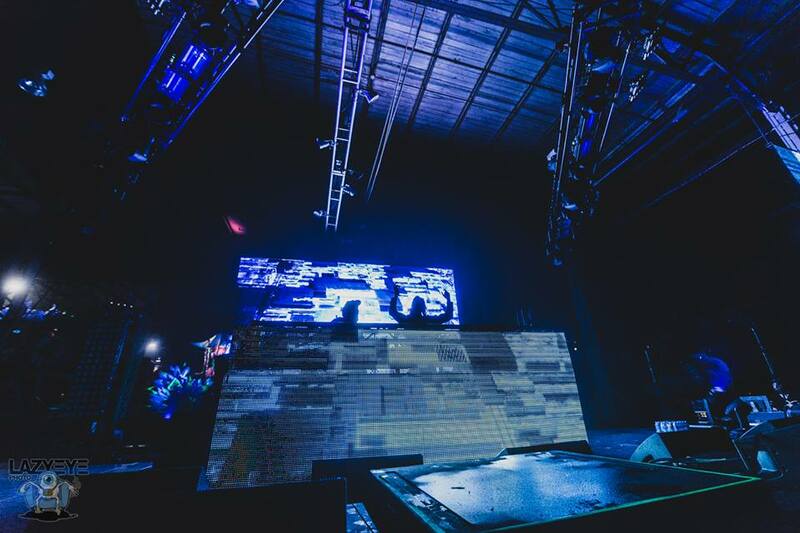 This mainstay of electronic music delivered a spectacular show full of visuals and electro-house. 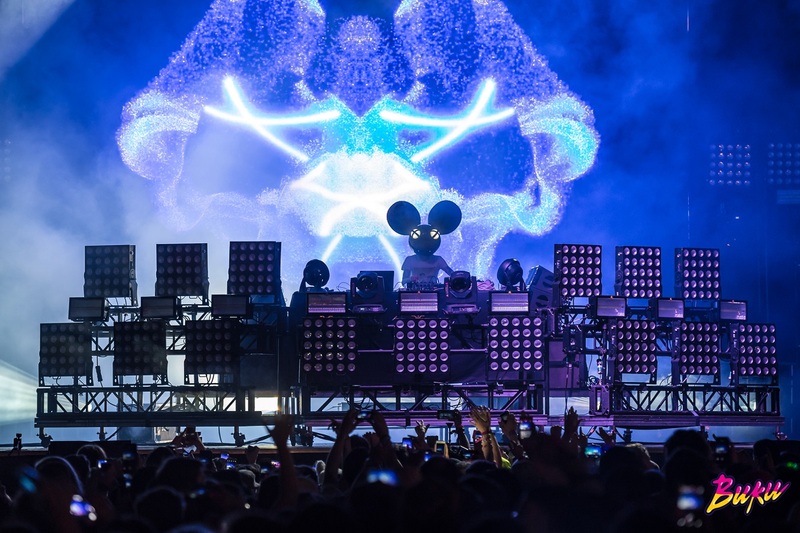 With classics such as “Strobe” and “Ghosts ‘n’ Stuff“, Deadmau5 gave the crowd the tracks that they wanted to hear. Not to mention, he went above and beyond his headliner billing by playing an after-party set at Republic NOLA later that night. Alright, we cheated a little by listing an entire stage as a highlight. But this year’s edition of the Back Alley took it to new heights – the industrial aesthetic, the artist selection, the positive crowd, and the booming sound all made for the best-ever iteration. This small venue is anything but low-key, and hosted everything from the relentless bass of Boogie T. to the emotive melodies of Lane 8. 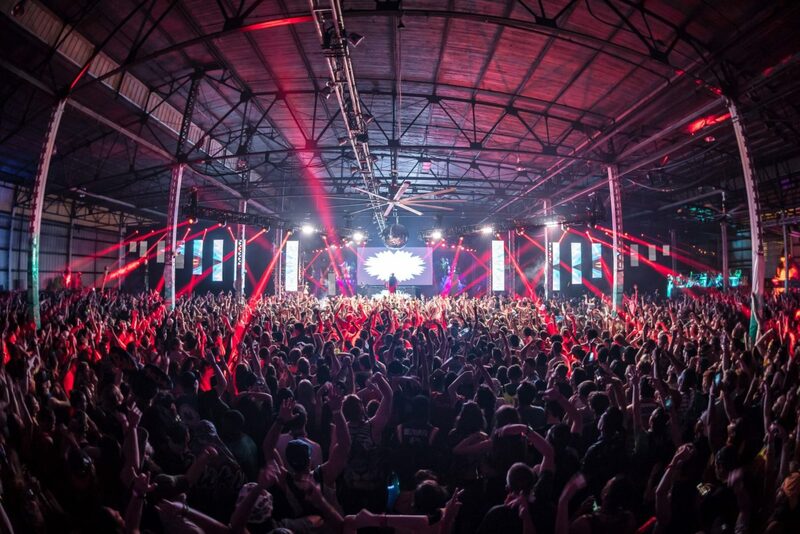 Serious props to the BUKU organizers. Several truly magical moments defined this year’s Back Alley. On Day 2, Nina Kraviz took the stage as one of the final acts of the festival and kept the crowd in awe for the entirety of her set. This supremely talented DJ played track after track of hard-hitting techno. Die-hard fans in the front rows raved about her flawless transitions. Mother Nature chimed in, too, by delivering some rainfall to the hot, sweaty crowd. It was the very embodiment of a “you had to be there” moment. We can list many more moments – Unicorn Fukr‘s groovy double set, the unmistakable DirtyBird sound of Shiba San b2b Justin Jay, Boogie T.‘s head-banging bass drops – but the Back Alley is something you’ll have to experience for yourself. In the closing hours of Day 2, there was a lot of migration after the headliner Deadmau5’s set. The usual assumption would be that after the headliner played, attendees would want to beat the traffic and go home. Not the case here. Wave after wave of people actually went in the opposite direction – towards ZHU in the Float Den. The singer and electronic artist drew upon a wide catalog of music for his show. About halfway through the show, ZHU brought out a remixed Michael Jackson medley that wowed the crowd and brought everyone out to dance. Even passersby couldn’t resist the urge to bust out moves as they traveled from one spot to another. The day after, it was common to hear “ZHU made me cry” as a reaction his set. 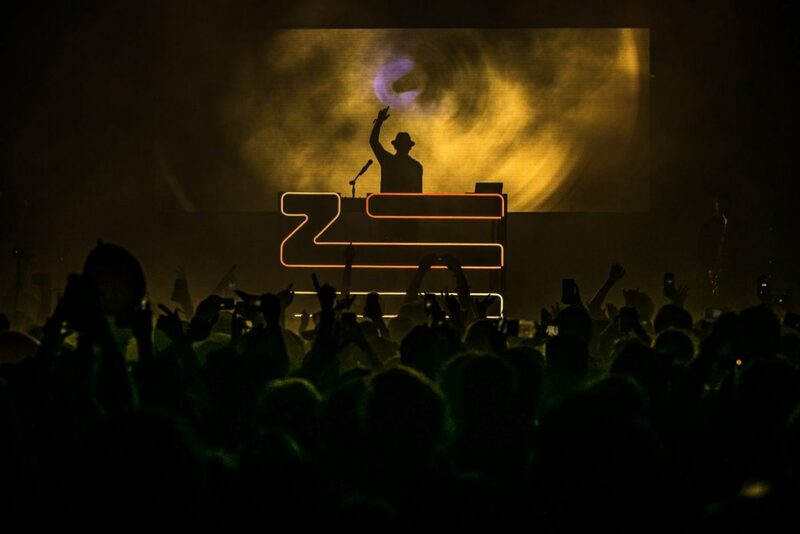 Although ZHU did not generate as much pre-festival hype, this artist is a must-see for live shows in the future. Images courtesy of aLive Coverage and BUKU media team.